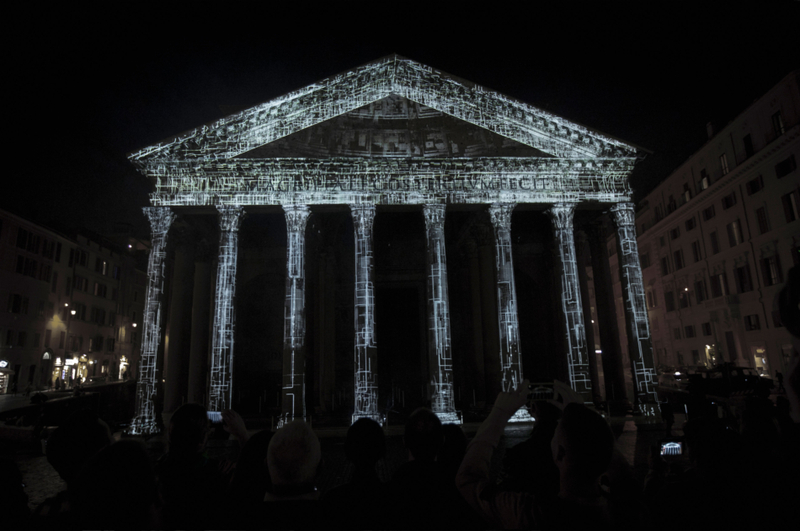 3D mapping projected on the facade of Pantheon, LEDs placed on the interior of the columns and moving lights: a combination that will brighten and transform the Pantheon into a completely different experience. They say never to look back, only go forward, focus on what is in front of you. Future means progress, innovation and novelty. Ulterior is a thrilling juxtaposition of the past and future. The concept of Ulterior is beyond what is seen, invisible to the present and coming in the future to astonish, perplex and fascinate. It enlightens the past, tradition while thresholding dimensions. A playful light game which will take us far beyond the familiar. Ulterior shows that the future cannot be known but it can be transformed into a different light. The word Ulterior means to exist beyond what is obvious and apparent or better say something that is intentionally hidden. 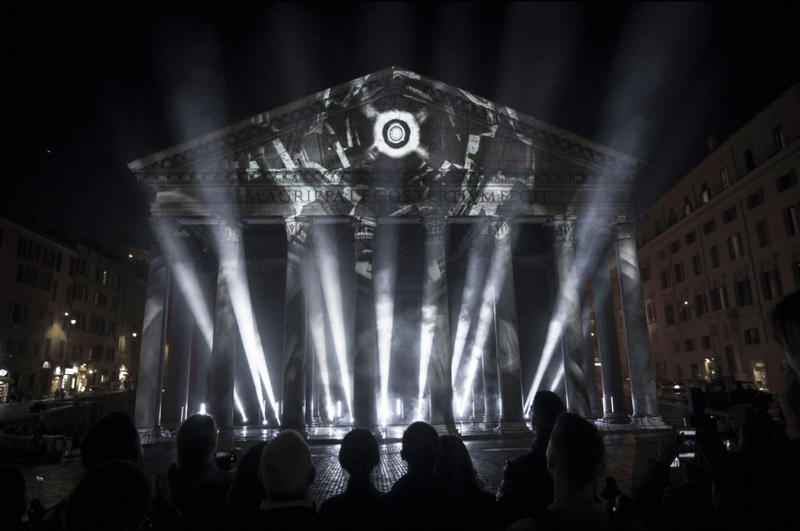 Ulterior already exists within Pantheon yet cannot be seen. 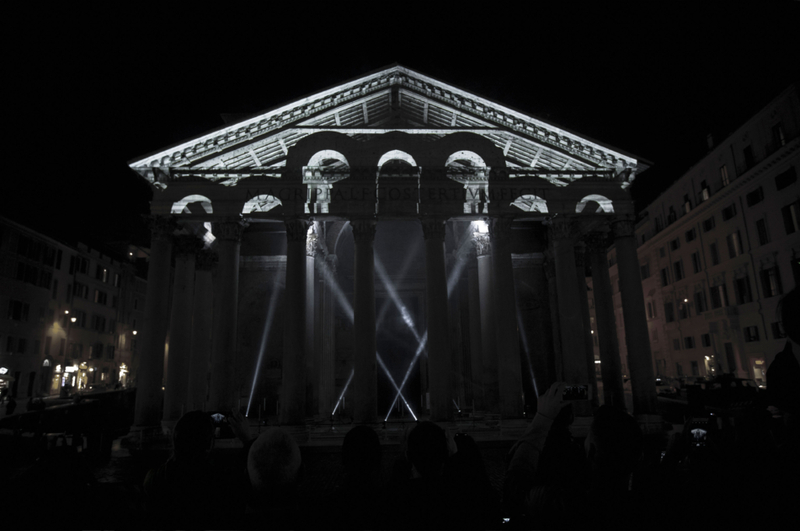 Roman territory in the interior of the columns filled with leds and moving lights. The objective of our mapping is to bring Ultetrior back to life. Producer: Laia Alabart, Tamara Sefcovicova. 3D Artists: Santiago Morrison, Aris Serrallonga, Jera Calderon y Federico Morrison.